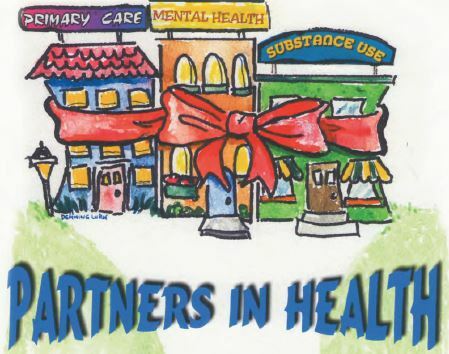 The Latest Edition Of Partners In Health: Mental Health, Primary Care And Substance Use Interagency Collaboration Tool Kit Is Here! The updated PARTNERS IN HEALTH: MENTAL HEALTH, PRIMARY CARE AND SUBSTANCE USE INTER-AGENCY COLLABORATION TOOL KIT has arrived! The Kit, an update of the 2009 edition, was developed by the Integrated Behavioral Health Project (IBHP) and sponsored by the California Health Services Authority’s (CalMHSA) Statewide Stigma and Discrimination Reduction Initiative. The 353 page Kit may seem a bit daunting at first, but the Table of Contents is interactive – and users can link directly to the sections they’re interested in with just a click. Designed to help primary care clinics and behavioral health agencies forge collaborative relationships, the Tool Kit provides job descriptions; sample agreements and contracts; screening instruments and evaluation measures; operational forms; strategies and prototypes for integrating mental and physical services; practical advice; issues to consider when brokering agreements; mutual role descriptions and much more. Though the focus is on California counties, much of the Tool Kit information can be generalized to other locales.